[VIDEO]: There is no more legal hurdle to the government’s plan to allow the burial of former President Ferdinand Marcos at the Libingan ng mga Bayani. Marcos thanked the Supreme Court for allowing the interment of the late strongman Ferdinand Marcos at the Libingan ng mga Bayani. He said by this, the High Court has upheld the rule of law. He also thanked President Rodrigo Duterte for his “unwavering commitment” to deliver on his campaign promise to his family. “We are deeply grateful to the Supreme Court for its decision to allow the burial of my father, former President Ferdinand E. Marcos, at the Libingan ng mga Bayani. Once again, the Supreme Court has taken a magnanimous act to uphold the rule of law,” said Marcos. “We also would like to extend our sincerest gratitude to President Rodrigo Duterte as his unwavering commitment to this issue sustained us these past several months. Our family will forever be thankful for his kind gesture,” he added. The Marcoses supported Duterte in the last campaign. He said his family would now restart discussions on details of the state burial, including the date, which would be decided upon by their mother, Leyte First District Representative Imelda Marcos. By a vote of 9-5, the High Court rejected petitions that sought to stop the burial of the late dictator, after two rounds of oral arguments on August 31 and September 8. Duterte expressed his support for Marcos’ burial at the Libingan ng mga Bayani during the presidential campaign, and promised the Marcoses and Ilocanos that he would make this happen if he won the presidency. 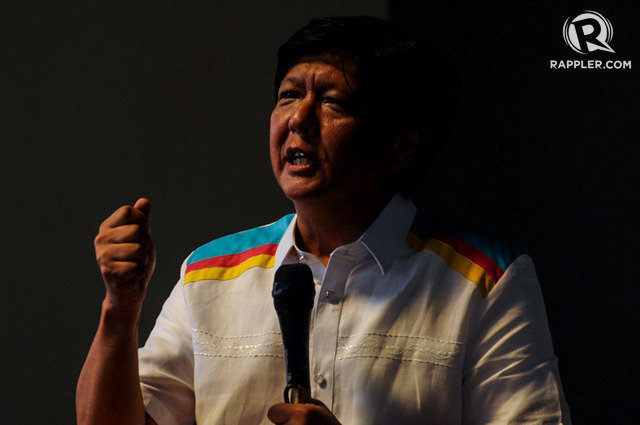 Previous post: Bongbong Marcos: Light at the End of the Tunnel – Prayers Work!